The history of Hermitage is very old and according to a number of books it goes back to the Romans (500 years before Christ). The local legend relates the story of an 18th century knight who, returning from a crusade, built a chapel at the top of a hill and lived there like a hermit, hence the name Ermitage. 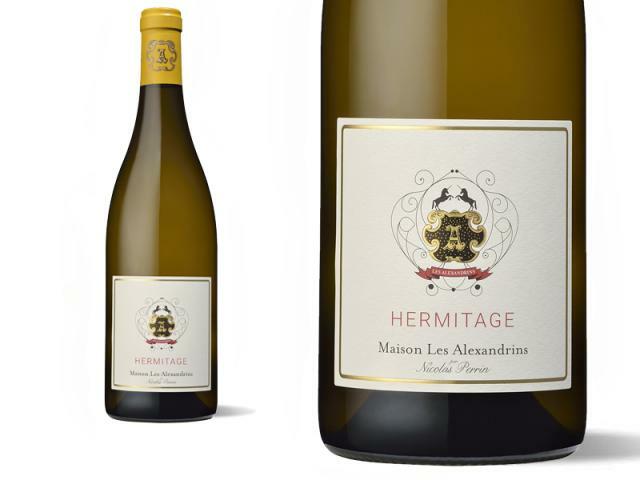 Returning from a trip to Ermitage in 1787, Thomas Jefferson, the American Ambassador in France, declared his admiration for this white wine the best wine in the world, with no equal. His comments on the red wines were just as praising Full-bodied, dark purple with exquisite flavours. The terroirs for the whites are quite different. Generally Marsanne and Roussanne are planted on the high plateau on the localities of Maison Blanche and Roucoules. The soils are composed of Loess and limestone which are ideal for white varieties. The balance between the 2 varieties gives the wine a good acidity with great structure. The prestigious hill overlooking the village of Tain lHermitage and the Rhne river. Located on the left bank of the river, this vineyard is south facing and is sheltered from the cold northern wind. Vinified in barrels. Ageing in barrels for 12 months. Drink now with poultry. Decant an hour before and serve at a temperature of 12-13°C. You can also keep this wine a few years and drink it when aromas of dried fruit have developed.